I waited. I ordered. I conquered. My MAC Giambattista Valli lipsticks that I have been lusting over for weeks have finally arrived! 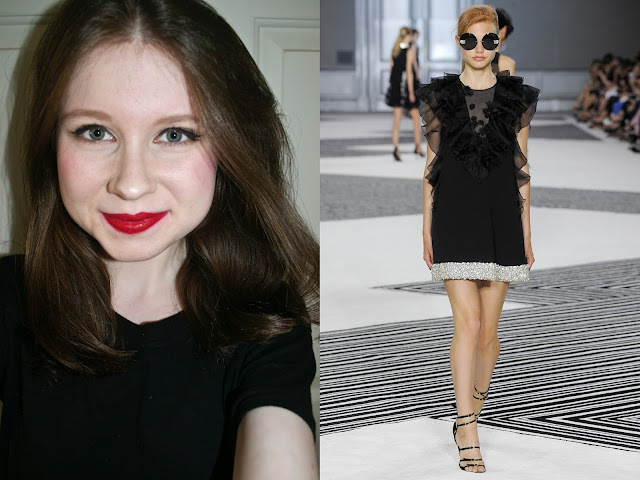 Giambattista Valli is one of my favorite designers and MAC is my favorite makeup brand, so this collaboration was too on point for me to pass up. 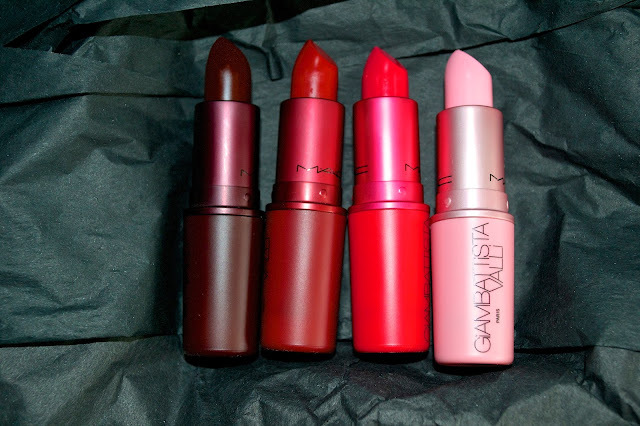 I loaded four out of the five lipsticks into my virtual shopping bag on maccosmetics.com on the day of the launch and purchased them as quickly as I could. The only way I can describe the rush is like an out-of-body experience. It all happened so fast. They sold out everywhere online about four hours later. Talk about #BreakTheInternet! The four shades I bought are Bianca B, a white pink, Tats, a hot pink, Charlotte, a yellow toned red and Eugenie, a cherry red. They are all matte finishes, which is nice because you can either do a gloss over them or wear as is. I took some selfies wearing each one so you can see how they look on. 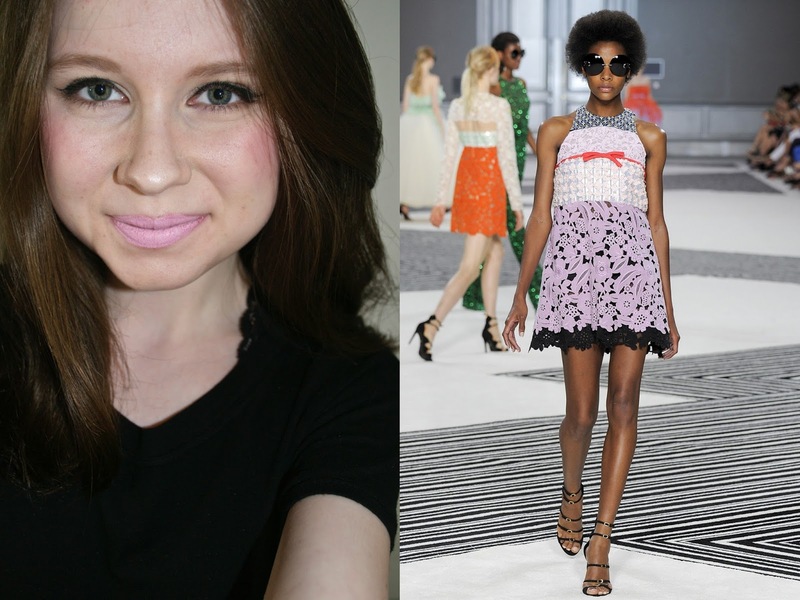 Everyone has different skin tones and pigment to their lips, but this should give you a bit of an idea. Because the Giambattista Valli collection was limited edition and most likely will not be restocked, I've included the name of another MAC lipstick that's a "similar" for each one. 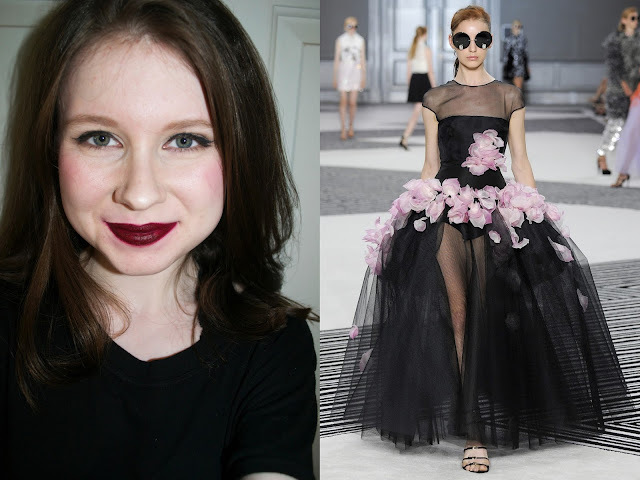 I've also included a picture of a look from the Giambattista Valli Fall 2015 Couture collection I would wear with each lip color, because it's okay to dream! I have a love-hate relationship with this shade. It's unique but also quite chalky and a difficult color to wear. It is extremely white toned and I had to pair my MAC pencil in Hip 'N' Happy with it so it wouldn't be as cake-y (as you can probably tell, it still is). It really settles into the lines of my lips which I don't like very much. I think putting some gloss over it would help. Bianca B is probably best for spring and summer as it is a very pastel pink shade. Overall, it's a fun lipstick to have in my collection, but you won't see me wearing it everyday. I really like this shade. It's bright, but not too bright and the hot pink color is beautiful. This one is also great for spring and summer. It goes on smooth and the matte finish is very nice. I'll definitely be getting some good wear out of Tats. 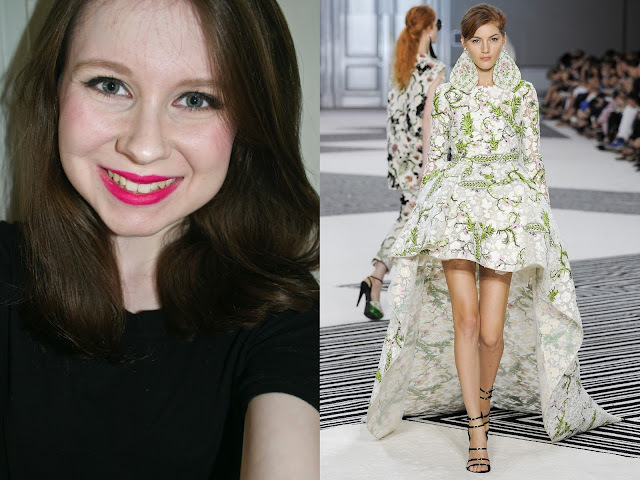 Charlotte is my favorite of all the Giambattista lipsticks. I've been looking for the perfect true red, and now I've finally found it. 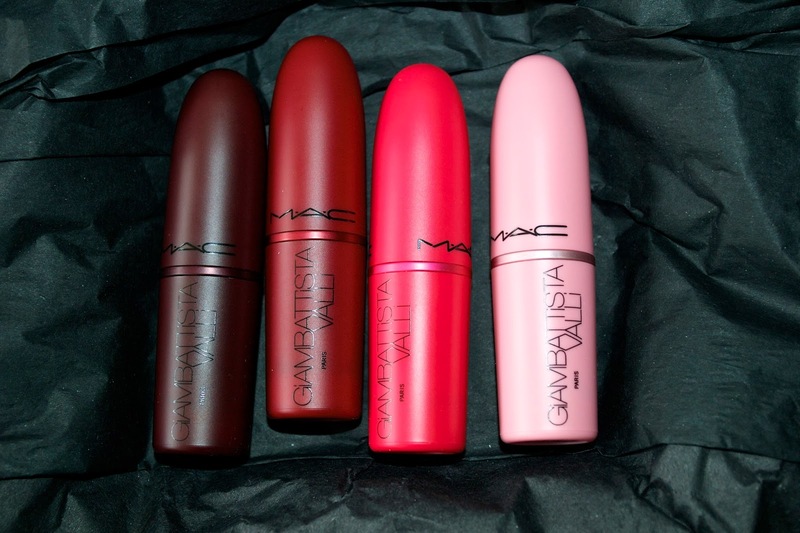 I own both MAC Red and Russian Red, but they have pink undertones. This shade is everything I could want in a red lip. I'll be wearing it all year round. Eugenie is a deep and dark cherry red shade that is perfect for fall, winter and nights out. It's a statement maker and the color payoff is fabulous. I love to wear colors like this when the weather gets chilly. The only downside is it's a bit messy. It started to stain my skin and get all over the place. I'll try a lip liner next time and see if it stays put better. Overall, I think this is a great shade to have. The Giambattista Valli MAC collection did not disappoint. I'm so happy to have these pretty shades in my collection. I'm looking forward to future MAC collaborations with fashion designers. MAC wears Prada, anyone? I'm so impressed by how good all the colours look out you! it was a pity bianca didn't wear so well on the lips though, it still looked so cute!